This video features my ASCII chart along with some simple instructions on typing extended ASCII characters. 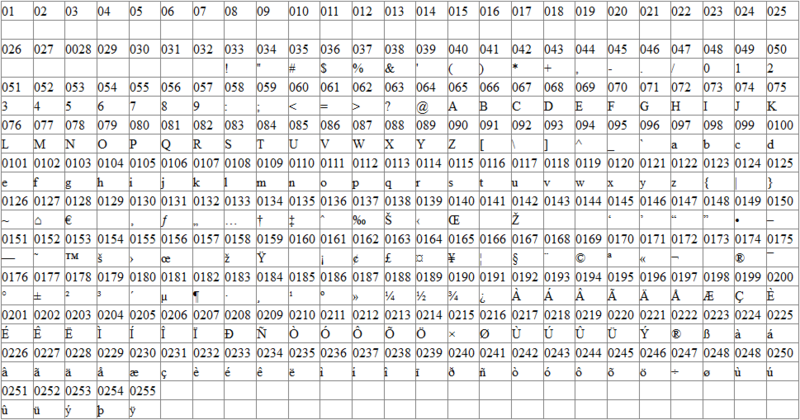 This is a table showing the extended ASCII characters. It’s very similar to the standard ASCII table I previously posted and has virtually the same characters until you reach code 128 when you start noticing the different characters not seen in the first table. 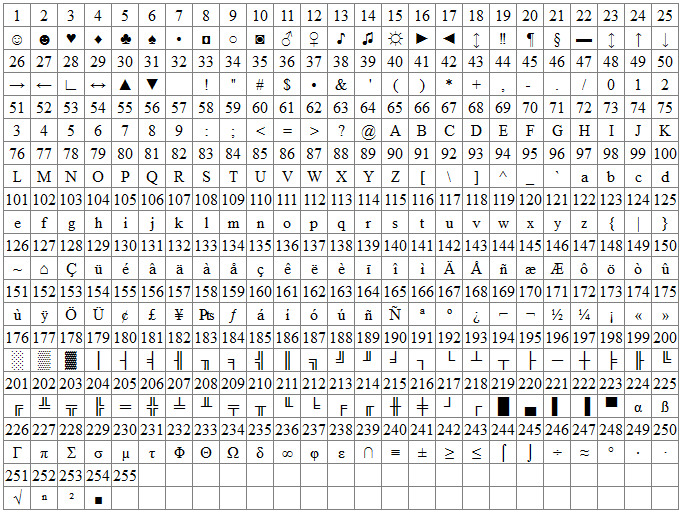 Here you can access additional foreign characters, math symbols, punctuation marks, and other ASCII characters you never knew had at your disposal. Accessing them is just as easy as before, just hold down your <Alt> key and enter the code, leading zero included, using your numeric keypad. For example, if you wanted to access the © symbol, you would use <Alt>+0169. Enjoy. I know there are countless ASCII tables online but I wanted to see if I could create something simpler and more compact. This one started out as an Excel spreadsheet and then pasted into Nvu for rendering into HTML format. I admit it’s not the best ASCII table you’ll find but I like it well enough to use it to serve my ASCII-based needs.